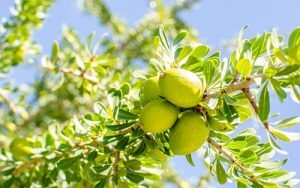 Colloquially known as the “Tree of Life”, argan trees are indigenous to Morocco, and have formed an integral part of the Berber lifestyle for centuries. Every part of the plant is used to sustain the desert’s human population and their animals – the leaves and fruit feed livestock and the nut shells which house the valuable kernels are used for fuel. 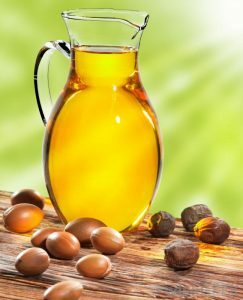 Precious argan oil is extracted from the kernels and eaten by people and the pulp remaining after oil extraction is a protein-rich food source for cattle. Yep. You read that correctly. People consume argan oil. 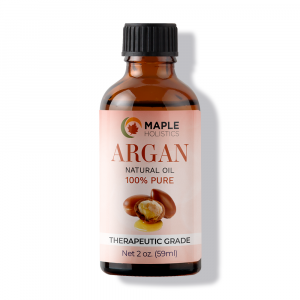 Known as “liquid gold” and famed for its anti-aging properties, argan oil is rich in vitamins A and E. People even use argan oil when Oil Pulling! The term Liquid Gold applies to Argan Oil’s unique coloring as well. It encourages cell production while gently moisturizing, helping the skin refresh itself and retain a soft, youthful appearance. It is packing with anti-oxidants which fight aging, ease inflammation and moisturize the skin, making it valuable for treating everything from acne and burns to lackluster hair and dull skin. A solution of argan oil and green tea can be used as a skin-calming toner and using pure oil as a moisturizer improves the skin’s natural elasticity and can help prevent stretch marks. It even fights off wrinkles – so it is no wonder that the best skin and hair care products in the world clamor to buy this exceptional oil to add to their products. 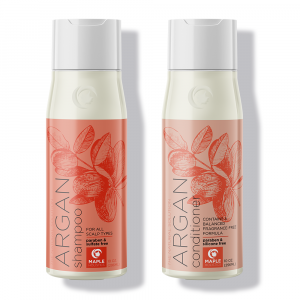 Argan oil conditioner, for instance, is widely praised for its ability to smooth and shine hair in a natural, healthy way. But… that most prized, special and expensive ingredient, used exclusively in the best shampoos and moisturizers money can buy, is salad dressing in Morocco. 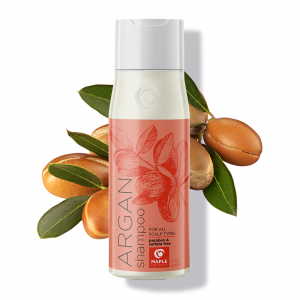 Moroccans use every part of the Argan plant, from the seeds down to the roots. 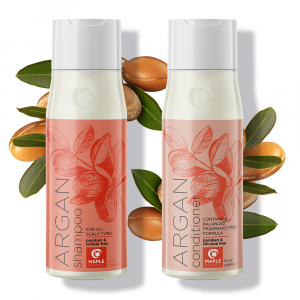 In its native Morocco, argan has historically been used cosmetically – mainly to treat the flaky skin and dry hair that are intrinsic problems of life in an arid desert, and the scarred, chafed hands and feet that are a natural bi-product of intense work under the hot sun. But it is not just valued for its cosmetic properties – the argan kernels intended for culinary use are roasted before extraction to produce a nutty flavored oil, ideal for bread to be dipped into at breakfast. It’s also drizzled over couscous, pastas and salads, in the same way as we would use olive oil. A delicious and decadent peanut butter-type spread, Amlou, is made by combining crushed roasted almonds with almond and argan oils and honey and is used locally as a dip. To beauty aficionados, this seemingly cavalier use of a prize ingredient may seem unforgivable, but look a little deeper, and a wealth of ancient African wisdom is revealed. 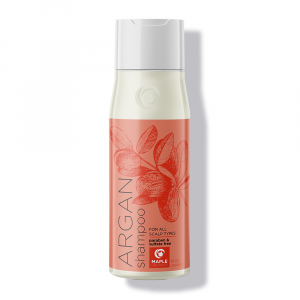 Those same antioxidants and vitamins that make argan oil shampoo such a valuable commodity when applied to the hair and skin work internally too. They help fight signs of aging from the inside out, undoing the damage caused by free radical cells and promoting cell renewal. Modern research has revealed argan oil to be more rich in omega 3 than olive oil and more abundant in vitamin E even than sweet almond oil. Studies suggest that the culinary use of argan oil can help to lower cholesterol and protect the body from some cardiovascular and inflammatory diseases, relieve rheumatoid and arthritic pain, improve blood circulation and even prevent certain cancers from forming. 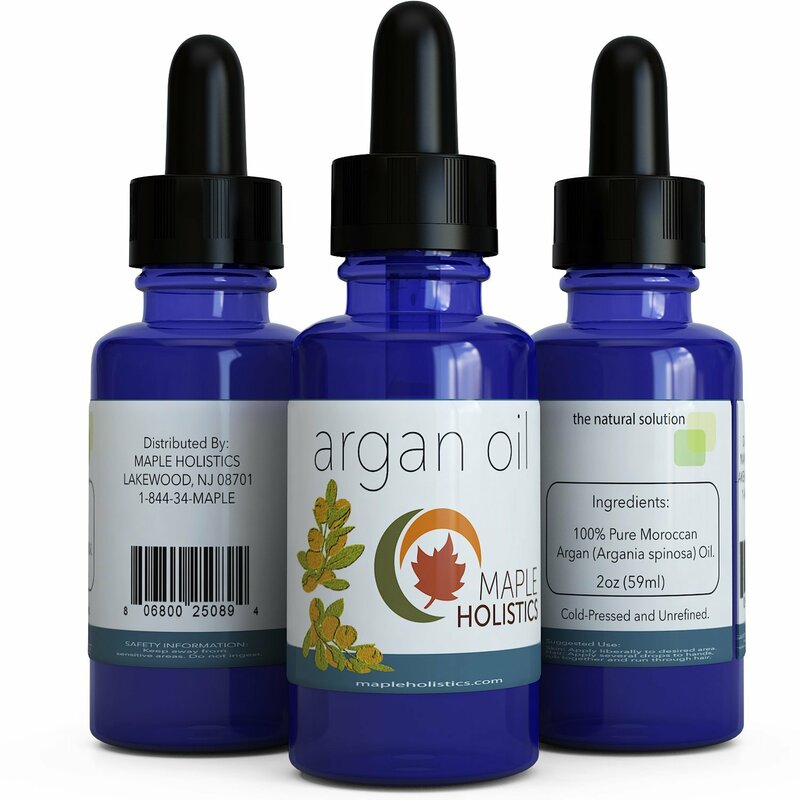 Argan oil can do pretty much everything. 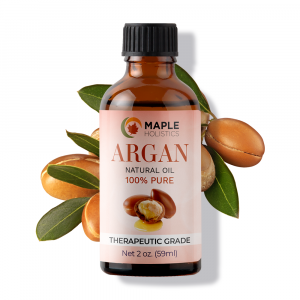 From healing scar tissue to binding split ends, stabilizing blood cholesterol levels and moisturizing skin, argan oil is an incredible natural ingredient. Its cosmetic properties are impressive; its culinary ones are nothing short of miraculous. No wonder it’s called “liquid gold”.